Are you an OpenCSW user looking for documentation? See the OpenCSW manual. OpenCSW aims to produce an easy to use open source software distribution installable on top of Solaris and Solaris-based systems, developed by a transparent and democratic community. 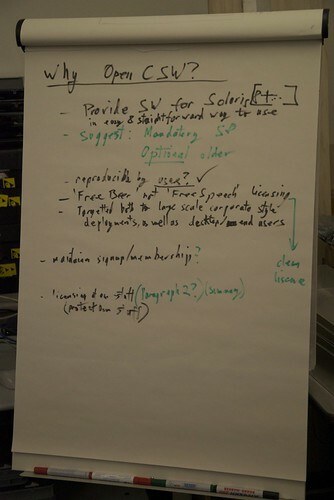 OpenCSW is dedicated to working closely with upstream projects to improve portability of open source software. You're welcome to contribute to the wiki (start with "Join the wiki" in the menu on the left).